Connect letters to guess the correct words to pass each level.You may consider yourself a master of word games, but here is a completely new word link game waiting for you to take the challenge! Try our game to prove your skills! Word Crossy combines word search and crossword-style games. Connect letters to spell a word, and you may reveal one of the words hidden in the crossword. You’re just getting started! If you want to win, you’ll need to find all of the hidden words to fill the crossword completely. Sound simple? It gets harder as you go, so challenge yourself and train your brain! - Connect letters to spell words; easy and fun to play! - More than 3400 levels and many more words to search for! - Levels built like crosswords to make things even more interesting! - Consistent progression to challenge players of any skill level! - No time limits, no pressure. - Useful tools are available to help you if you get stuck. - Beautiful visual design for a pleasant experience. - Connect the letters on the wheel to guess the correct words. - Find all the words and fill in the crossword blanks. Play Word Crossy in your free time to train your brain while you relax! 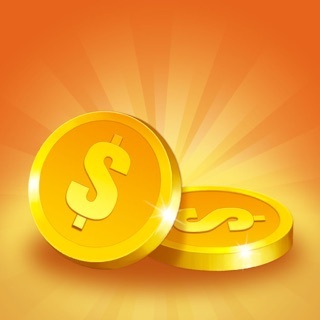 Note: Word Crossy is free to play, but you can make in-app purchases to help you enjoy the game even more. - Premium Membership allows you get exclusive rewards, instant boost and have 7day's privilege. Subscription price is $7.99 per week with 3-day free trial. - Subscriptions automatically renew at the end of the period unless turned off at least 24 hours before the end of the current period in the account settings. - You may cancel a subscription during its free trial period via the subscription setting through your iTunes account. This must be done 24 hours before the end of the subscription period to avoid being charged. Please visit https://support.apple.com/en-us/HT202039 for more information. - Any unused portion of a free-trial period, will be forfeited when the user purchases subscription. We hope you’re having fun playing Word Crossy! Thanks for your feedback and keep it coming! We are dedicated to providing you the best. Love this game! Would love more mind stones! I absolutely love this game!! It has so many unique additions to it that other word games don’t have— the daily gift, the combo quests (which always make finding words even more fun! ), the beautiful backgrounds and the “path” you take to get to the next level, and the daily awakening feature (basically the daily puzzle- and, like other games, if you find a certain amount of words in the right order, you get between 1-3 stars; those stars add up, but once you reach a certain amount, you can collect a “mind stone”) and I get so excited when I know I’m about to collect a mind stone!! They’re unique, associated with an animal, and give you a little inspirational saying, and you never know what they’re going to say so it feels like a surprise. I just love them. So the only thing I would ask- because I love these mind stones so much- is if maybe y’all could please add more? I’m 2 mind stones away from having all of them, but I would love it if there were more added in the next update since right now there are just 16. Although it does take some time to reach 16, as the max number of stars you can receive per day is 3, I’ve been playing for a while now and would love to keep collecting more! Game started getting stuck loading at 1% then freezes and crashes. Can't even open it half the time... Repetitive words, made up words, ads after every single level...made the mistake of paying to remove them because at first the game is really fun and addictive. But once you get to higher levels and like ten in a row have the same words repeated just kinda makes it annoying after a while. Anyways there is a lot of potential to be a good game it just needs some fine tuning. The reward system needs work as well. It is very confusing right now, what are the flowers for? The gold rewards seem kind of skimpy as well. Also you lose your bonus streak even if you enter in a legit word and sometimes that legit word gets you the bonus.....I can understand losing your bonus for entering in something that is just gobbledegook but why not extra points for real words? Annnnnd then you can go to the next level and enter in that SAME word from that last puzzle and it accepts it?! So convoluted. Also after the game stopped opening I uninstalled it and reinstalled it to see if that would resolve the issue. I was also logged into Facebook at the time might I add. When I reinstalled the game and logged back in I had lost all my progress....what's the point of logging in when all it does is show me what my friends scores are. Also there doesn't seem to be game center support either... Wish I could get a refund.